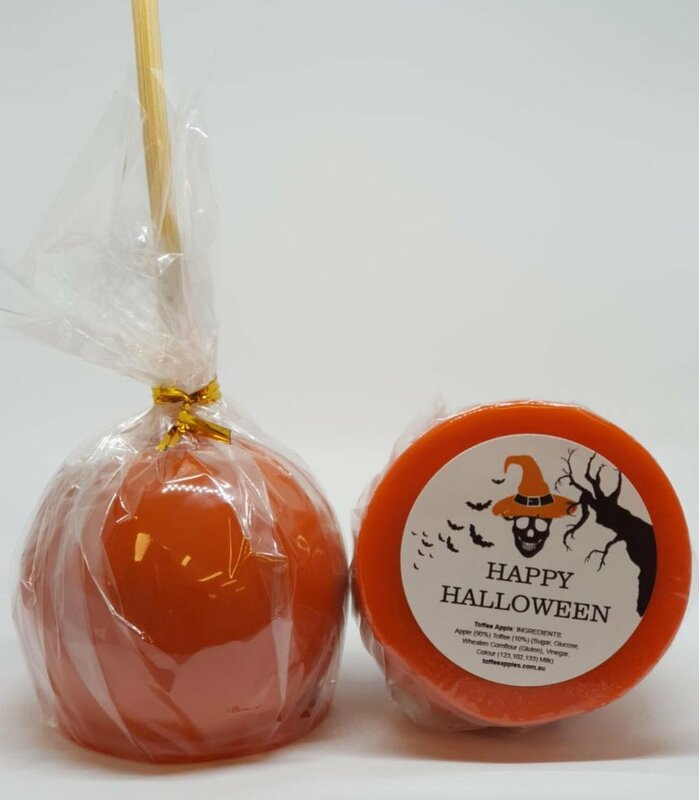 Trick or Treat... every October we make Black & Orange Halloween Toffee Apples. The perfect Halloween treat! Be different this year and surprise the tricker treaters with a treat they won't forget!! Be sure you get your order in before Tuesday the 24th of October to make sure we can fulfill the quantity. We will be in contact with you within 24-48 hours to confirm and process your order. NB: Delivery is not available to Western Australia. Only required if you are picking up from Wareemba. All deliveries will be sent on Wednesday, 25th October. Only required for quoting Express Delivery via Australia Post. If there is anything you would like mention or ask? We will be in contact with you to confirm and process your order. A tray of Halloween toffee apples ready for "trick or treating". Our black toffee apples in production. Our orange toffee apples in production.